Located in Atwater Village near the communities of Echo Park, Los Feliz and Silver Lake, as well as, the City of Glendale. Great access to the 5, 110 and 134 Freeways with on and off ramps to the 5 freeway less than a .25 mile away. Excellent retail space situated between a Starbucks and H&R Block! The property is located on a major boulevard with over 39,000 cars passing by each day. A total of 3,171 sf of space is currently being built out and will be delivered and ready for occupancy November 12, 2007. 850 sf of ground floor retail space is being built out as a wine store. 2,321 sf of basement space is being built out as a wine tasting bar & lounge, wine cellar and cigar humidifier room. I'm torn. Why buy a bottle of wine when I can buy the entire store? Oh that's right. Because it's $350,000. And real estate is not included. 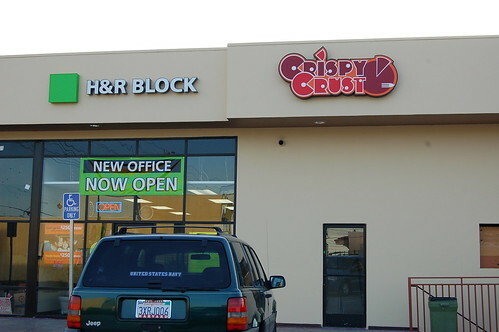 Standing at the Crispy Crust (free samples! ), we wound up talking to the man standing in front of the future wine store. The man - I believe it was owner Andy Hasroun - basically confirmed everything that Atwater Village Newbie mentioned last December. The wine shop will include regular wine tastings (functioning much like Colorado Wine Co. and its small wine bar) in addition to sales; a large wine cellar will be located in the basement. Hasroun told us he's still trying to come up with a name -- The Cellar or L.A. Cellar are two possibilities. I'd suggest going the pun route: Atwater Into Wine. 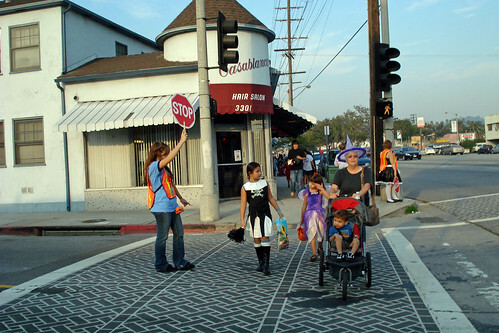 Trick-or-Treat on the BOOlevard, originally uploaded by Luis Lopez. 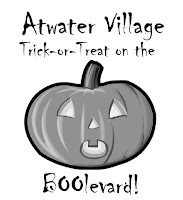 NEWS FROM IN AND around Atwater Village, one LA neighborhood happy to have taken in a few evacuees from the latest California fires. 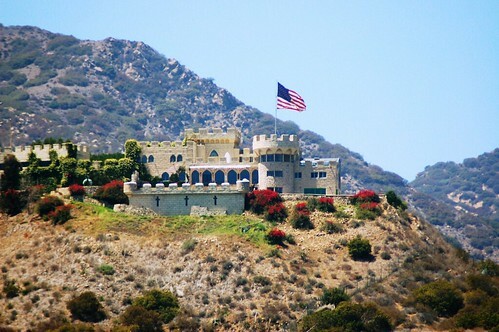 The Former Castle Kashan, originally uploaded by Atwater Village Newbie. This weekend I rediscovered a photo I took this summer in Malibu. I posted this photo and asked aloud, what is this place? Then this place, Castle Kashan, burned to the ground. YOU MAY WANT TO arrive early (or late) to the Immigrant Punk exhibit tonight, if Black Maria Gallery participates in Lights Out LA. casitas_ave096, originally uploaded by Luis Lopez. 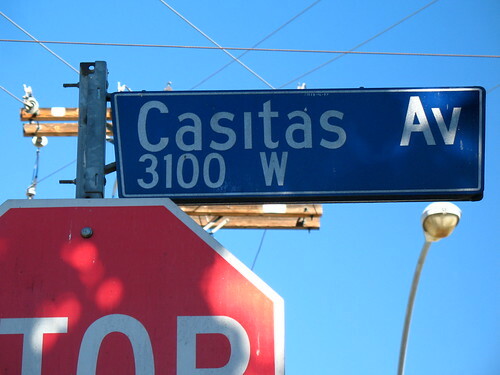 Things are looking up for Casitas Avenue. Though the south Atwater Village street may not be getting any Star Trek lofts, it is getting in on another trend: cinematic alternative realty games. "This fall the HEAD TRAUMA cinematic gaming continues. Players will interact with the film's characters; offline, online, and via mobile devices in what is a cross between flash mobs, urban gaming, and ARGs. The game starts in late September ... Then on Oct. 20th, live cinema games will play out in 10 cities across the country. Within the series are clues aka rabbit holes that lead to hidden sites, blogs, social networking pages and media." Sounds like it might be worth surrendering to the confusion. The "live cinema game" is Saturday, Oct. 20, 11:00pm, in the parking lot of 3191 Casitas Ave. Admission is free. The one discovery I did make is the galleries in Atwater Village. That's what people should be checking out (well, except for JFerrari Gallery - they weren't open so I never got a glimpse.) All these galleries get points from me for being friendly and welcoming - as well as for having something great to look at. If I were in the mood to relocate my studio - that's where I'd go. (And I was told there are empty shops on that stretch aching to be made into more galleries and studios.) Luckily it's still close at only a mile away. Yes, artists, fill up those empty shops! We could use a few more musicians, come to think of it. The Atwater Village mixtape has had enough Beastie Boys and Black Eyed Peas. I'm glad to see the quadfecta of Atwater galleries - Black Maria, LittleBird, J. Ferrari, Pounder Kone - all involved. Hopefully other Glendale Blvd. moms-and-pops will stay open late to distract the wandering hipsters. It's Friday, Saturday and Sunday, Oct. 12-14, starting 12:00noon each day. More at Art Crawl X.
UPDATE: Nearby Eagle Rock's got its own art thang going on, 13 galleries on Oct. 13. NOW THAT THE COUNCIL election is over, the online neighborhood forum - unceremoniously stripped from the Internet a few weeks ago - is back. It looks like the offending, election-related comments have been removed. Check out the first post after hiatus, and peruse the rest of the forum. Glad to have it back. Now let's try to behave. 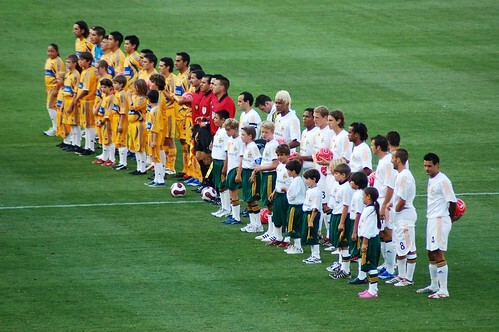 FOR THE SECOND TIME since July, I've received voice mail from the LA Galaxy front office. Both were live calls - not pre-recorded telemarketing messages. Both wanted me to know about "exciting" soccer games coming to Home Depot Center, "some" of which "might" include David Beckham. I doubt the friendly fellow calling now knows what happened last time I dropped $240 into Beckham's coffers. Should I call back and let him know? As one of today's 398 voters, I'm pleased to see most of the people I chose on this list. But there are some I didn't choose who also made it. Term limits, anyone? 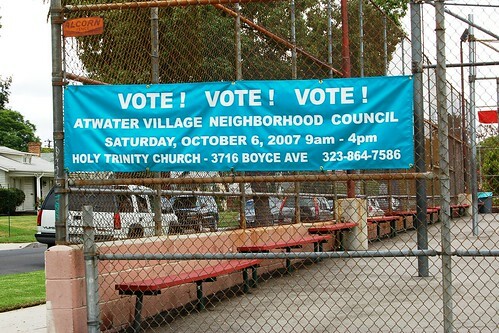 So basically if you spend more than a few hours in Atwater Village, you might be able to vote in tomorrow's AVNC election. The entire council could be controlled, for all we know, by Costco employees. The election is Saturday, Oct. 6, 9:00am to 4:00pm, Holy Trinity Church, 3716 Boyce Avenue. Candidate statements here.